You are getting more pressure than ever from the CEO to focus on the ROI of your digital marketing campaigns. It’s time to double-down on the digital marketing campaigns that are producing results. 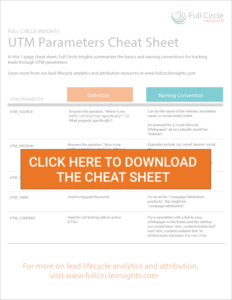 If you are looking to measure the success of your digital campaigns, consider Full Circle Insights Digital Source Tracker (DST) as an optimal option to the method detailed in this cheat sheet. DST provides tracking of digital touches, organic traffic, and referral traffic that comes to your site, pairing anonymous digital touches with known leads in your CRM – even without UTM parameters. Click here for more information or contact us today. 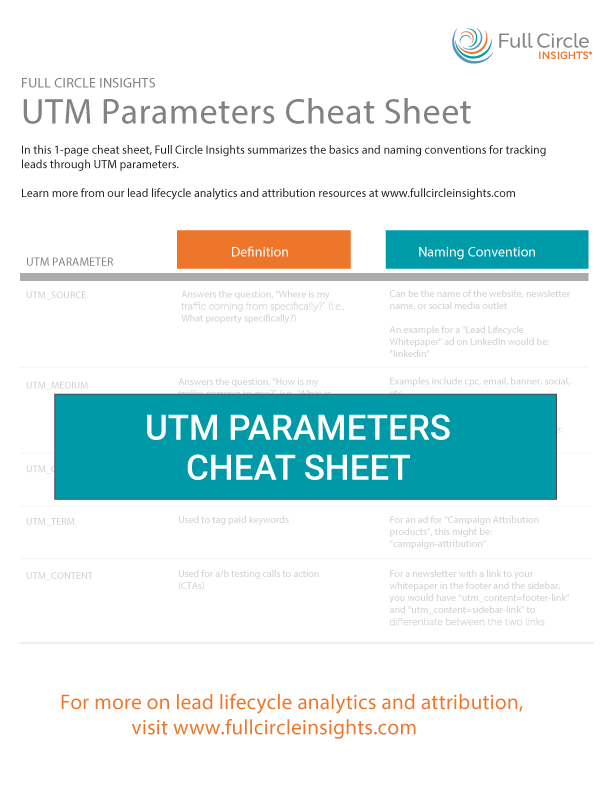 Thank you for requesting the Full Circle UTM Parameters Cheat Sheet.